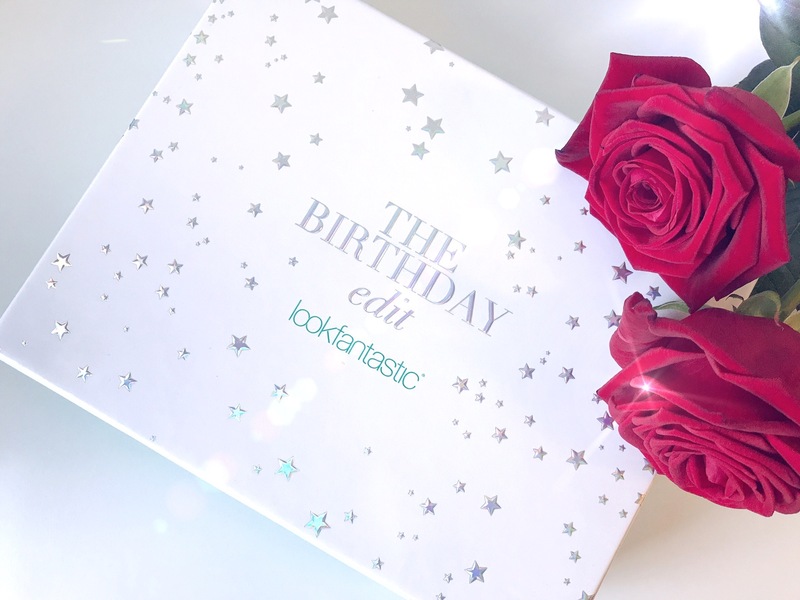 This month Beautybox from Look Fantastic has the theme ”The Birthday edit” and packaging is so chic and stunning! 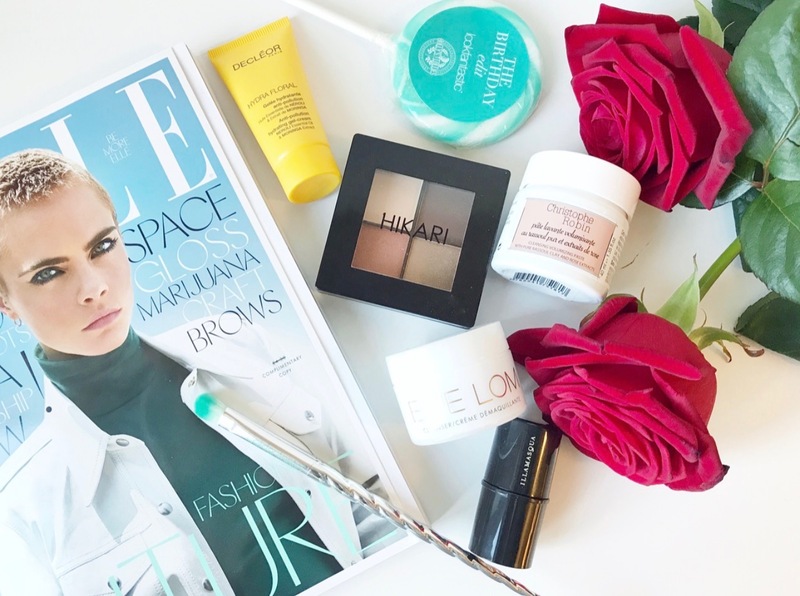 This month Look Fantastic are celebrating their third birthday with a special edition of their Beauty Box. The beauty box this month is packed of mini and full sized products and a tasteful popsicle from Holly’s Lollies, the whole gift has a value of £75! A copy of September Elle magazine worth £4.30, One of my favorite magazine- Love it! Decléor Hydra Floral Anti-Pollution Hydrating Gel-Cream. The French brand Decleor has always a very pleasant scent to their products and this creamy but also lightweight cream is no exception. the cream is enriched with Moringa Olifeira extract, and this gel-cream helps to hydrate skin and reinforce its barrier, whilst creating a protective layer against pollution particles. It reveals a beautiful smoothed skin texture, with a complexion that looks luminous. Eve Lom Cleanser & cleansing cloth. This is a really interesting facial cleanser, it has a herbal scent and melts on the skin, feels like a mini-spa at home. In the giftbox a cleansing cloth is included to give the best result with the cleanser. Christophe Robin Cleansing Volumizing Paste . This product I have not tried yet but it’s a new formula to give your hair volume. Christophe Robin Cleansing Volumizing Paste with Pure Rassoul Clay and Rose Extracts – a deep cleansing, shampoo-like treatment with a unique consistency and volume-boosting benefits. The 85% natural-based formula transforms upon application from a paste-like texture into a lightweight foam, with pure Rassoul Mineral Clay, rich in trace-elements, working to absorb dirt, oil and impurities while densifying each follicle for enhanced strength, lift and thickness from the root. Free from parabens, silicone, SLS and colorants. Eyeshadow quad (Tonya) from Hikari. A perfect quartet of warm toned eyeshadows for this fall. The colors are blendable and highly pigmented. Illamasqua Gel Sculpt in Silhouette. This little thing I almost screamed I little bit when I got, I have longed to try something from the brand Illamasqua. Illamasqua Contouring Gel Sculpt in color ’Silhouette’, is a sheer contouring gel that helps create subtle, natural-looking definition on the contours of your face. Perfect for defining your cheekbones, jawline and forehead, the gel formula creates delicate shadows on the face; apply to facial contours where shadows would naturally be cast. It enhances your face shape to enliven natural features. Easy to blend, the formula will leave your face looking naturally chiselled and sculpted. I am so ready to try this:-).